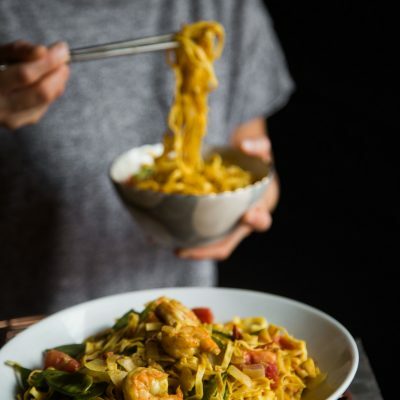 Super easy chow mein is stir-fried with shrimp, veggies, and has coconut curry sauce is a busy weeknight staple. Can be made in wok, skillet, or instant pot. Blanch the noodle briefly in hot water and then refresh with cold water. Set aside.